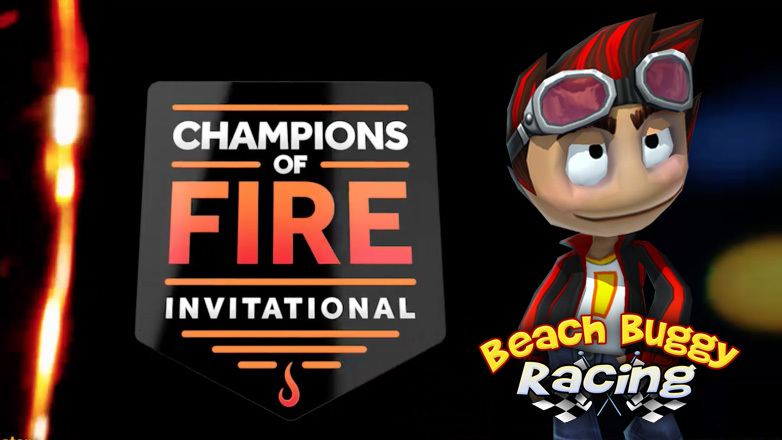 On December 2 and 3 in New York City, Rez, Leilani and their racing pals will be showcased at Amazon's Champions of Fire e-sports competition! We're all revved-up for this super exciting event, where Internet celebrities Swiftor, NampaiKid, Mystic7, NothernLion, Hafu, Naomi Kyle, Avajaijai, and XChocoBarwill will compete for $50,000 in prizes on a bunch of exciting games, including our favorite off-road kart racer, Beach Buggy Racing. If you live near NYC, you can sign up for FREE tickets to attend the event in December. For the rest of us, Champions of Fire 2017 will be live broadcast on Amazon Appstore's Twitch channel and on CBS Sports. For more information, check out the Champions of Fire website, and stay tuned to our news feeds for updates! Older PostVector Unit featured on Gamasutra!